Marije Tolman (see her website) is one of Hollands leading illustrator. 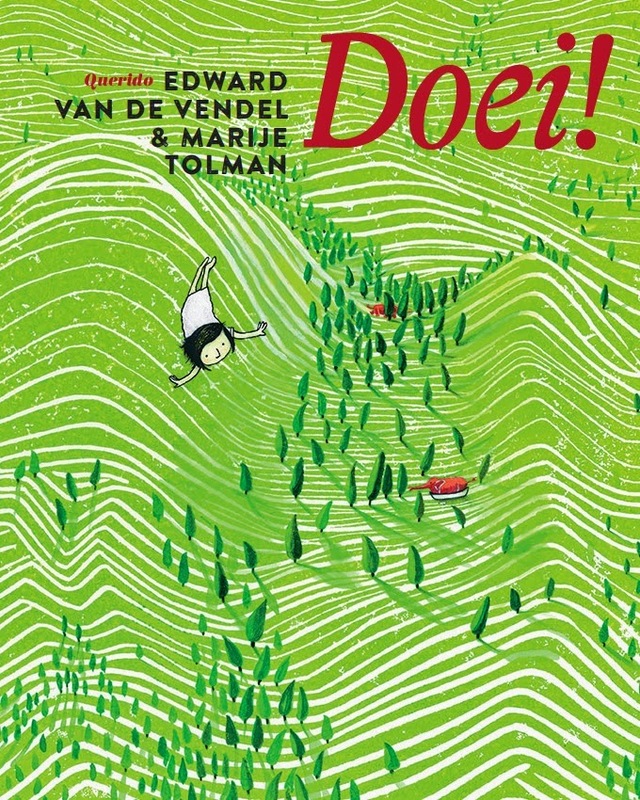 I am quite grateful that I got the chance to work with her for this book: DOEI! (SEE YA!). Out now! It's a story about flying dreams, about happiness, and how to pass it on. The bookdesign is by Herman Houbrechts and Querido is the publisher. Marije gave the simple story an impressive universe - colourful and cheerful, heartfelt and sweet. Hopefully this picture book will be the beginning of many more, and hopefully the book will be brought to other countries as well. For those of you who are interested: a full English translation is available, as well as a pdf. Mail me at e.vendel@upcmail.nl.